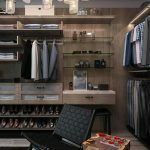 Change your life, and your home with a Custom Closet Organizer. Imagine opening your closet doors to a custom closet organized haven! For those who are neat and organized and those who aren’t – we can help to elevate or manage all your personal possessions. Once and for all, let everything you wear often or hardly at all have a place. As a result, a talk with one of our team members can make your custom closet organization a reality. A designer closet is not just for celebrities or designers themselves, but rather everyone because of our skilled craftsmen. The magazine cut outs, saved Instagram photos, and inspirations from HGTV can all be made to best fit your needs for a designer closet. We can accommodate the perfect balance between bars to hang up clothes, cubbies for shoes/purses, drawers and so much more. A personalized closet system that fits your needs and size specifications is key in staying organized. 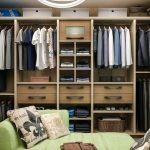 Maximize space with each unique closet system. The number of racks, drawers, shelving, and hanging units can vary. The need to do yearly spring cleanings are a thing of the past with personalization. Every piece can have a place. Is there such a thing as too many shoes? We certainly don’t think so! With the help of a shoe organizer, every shoe can have a spot. No more stacking, scratching, or searching. Cubbies and shoe racks are a few efficient options. A talk with one of our team members can help in assisting for the best decision. 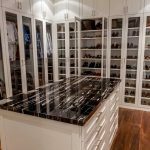 A Sunset Cabinetry Custom Closet is the perfect solution for every shoe, tie, purse, jacket, sweater, each having a place to rest. Customized to individual needs and requests ensure organization, tidiness, and minimizing the chances of clothes ending up in a pile on the floor. Efficient closet shelving can come in many styles – cubicles, drawers, shoe storage, and wooden shelves. A custom closet shelving piece can have a mix of all forms, or maybe just one style is needed – all can be customizable. Furthermore, all varieties are meant to fit and organize all of life’s necessities. Define your dream closet design with Sunset Cabinetry and watch it come to reality. A consultation and talk with one of our team members is the first step. A mixture of storage pieces, floor to ceiling, and the ascetic can all be fitted perfectly after taking measurements. A well applauded closet design starts and ends with us. Modern, contemporary, tall or wide, floor to ceiling, or fit to wrap around a stubborn corner – a wardrobe closet can come in many artistic styles. It can be a difficult challenge in distinguishing the best choice, but our experienced team members and craftsman are experts in assisting. Just like a closet system, the wardrobe closet can have cubbies, drawers, and hanging racks behind one of a kind doors. Unsure of how to organize a closet and need ideas? Sunset Cabinetry team members can help assist in providing the best solutions for an organized closet haven. Cubbies for shoes and purses, shelving for displaying jewelry and antique items, wooden drawers for everyday shirts, or many racks for hanging up suits and dresses. To fit the needs of our personal clientele, all styles are interchangeable. First of all, to get the ideas flowing visit the HGTV website. This is a good place to start your dream Closet Organizer journey. Additional closet drawers could be the missing piece to your dream closet. 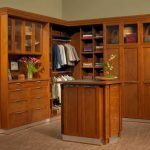 Whether its floor to ceiling or a set of three, our expert craftsman can mimic the design of an already existing closet or create a whole new style from start. Closet cabinets are the building blocks to a well-organized retreat. Modern, antique, small or large, or floor to ceiling – all types, styles, and models can be created by our expert craftsman. A talk with one of our team members can help in assisting the best size and specifications. We offer quick, friendly Home Improvement Financing to all Sunset Custom Cabinetry and Woodwork customers. Our Home Improvement Financing plans are an easy and convenient way to pay for any Sunset Custom Cabinetry and Woodwork project. With payments as low as $79/Month and 0% interest free financing for 84 months. Get Your Custom Closet Organizer Today! Unsure of how to organize a closet and need ideas? Our custom closet organizer – wardrobes, systems, and shelving, are the secret behind tidiness and maximizing space for all personal possessions. Additionally, a talk with one of our team members can help assist in the best designs tailored to each client. Finally, you can imagine opening your closet doors to a closet organized haven!